Was life at Rainbow’s End or Spindletop truly better than a humane death for dogs who perished before they were rescued by authorities? I saw the whiteboard at the city shelter, proudly declaring they had found rescues to take in nearly a thousand animals so far this year. Impressive? Certainly, but it did make me wonder — where are they all going? The shelter I work for in rural New Mexico has a policy of only routinely transferring animals to facilities that have been visited by a staffperson or experienced volunteer, but I know this policy is rare. 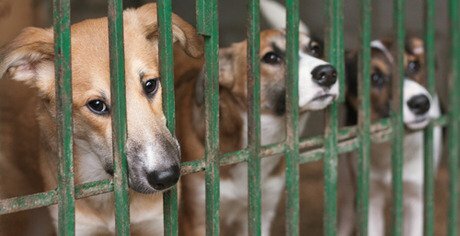 Under growing pressure from “no-kill” advocates, many shelters are sending animals out to any agency that will take them, but recent busts of so-called sanctuaries (Spindletop, Rainbow’s End, and Whiskerville to name a few) show getting out of a shelter alive is just the beginning for some of these animals. There are hundreds, if not thousands, of ethical, humane rescues with active rehabilitation programs for physically and emotionally damaged animals, but what about those without a plan for development and placement for these pets? Is it really humane to house a dog with profound fear of other dogs or humans in a kennel where it is constantly exposed, in no particularly rehabilitative way, to both, for years on end? Is it kind to leave a dog with separation anxiety in a group kennel where it may only see a person for 30 minutes each day, during feeding and cleaning? Large, well-run sanctuaries have programs in place to help these animals become adoptable through professional regimens, and for those who are not able to be placed, they have sustainable plans to keep those animals humanely for the duration of their lives — scheduled walks, routine veterinary care, play and cuddle time, trips out of the kennel, and in some cases, housing far away from the sounds, smells, and stress of other dogs for those too fearful or aggressive to be cohabitated. But what about the private, unregulated rescues that started out with a few kennels in the yard, and through years of being unable to say “no,” end up with dozens of dogs, with no placement plan and with minimal resources for medical and behavioral care? Was life at Rainbow’s End truly better than a humane death for the dogs that perished before being rescued by San Bernadino County officials? Sanctuaries can be life-savers, but currently, there is minimal regulation for animal care standards in shelters or rescues. Even city shelters, funded with taxpayer dollars, can fail to provide animals with their basic needs; but with little oversight, where does that leave the animals? Few jurisdictions have any type of transparency requirements for animal care facilities, and animal sheltering standards vary so greatly by the definition of who is overseeing the facility, that “life-saving” to one rescuer can be cruelty to another. Rainbow’s End shows us that, perhaps, it is time for our states hold our rescues and shelters to basic standards of care, through permitting and regulation. If a puppy mill can be inspected by the USDA or AKC, isn’t it only fair to shelter pets to expect that same level of care? Nina Stively works in animal sheltering in New Mexico and shares her home with three dogs, four cats, three chickens, an assortment of foster animals, and one very patient husband.